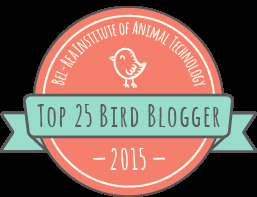 What kind of title is that for a bird blog, you ask? Good question. It seems like my 2 pastimes (obsessions) continue to merge - women's ice hockey and birding. Most of the 6 current BirdNerds are hockey players who play for the FREEZE or the Predators. In fact, only Connie is not an ice hockey player, preferring field hockey instead. We are doing the Christmas Bird Count this year with Renee, from the Phoenix. We have been to hawk mountain with Amy, a new birder from the FREEZE. I have also had requests from Loreen of the Predators to join an outing. And now Patty who is an avid birder has re-joined the FREEZE. On top of that, Patty is even sending awesome photos from her outings. 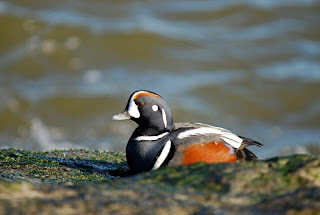 Here is a great shot of Harlequin Duck at Barnegat Lighthouse taken the weekend after we were there. Why doesn't this happen to me? Every time I see Harlequins, they are bobbing on waves on rainy days. For Patty, they get up onto the rocks and pose in bright sunlight showing off their incredible markings. Gee whiz.